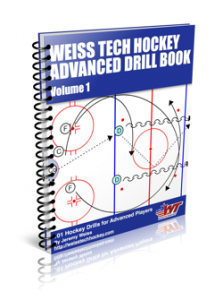 Kevin over at M2Hockey and HockeyShare.com has created a great new product call "Drill Diagrammer". I've been playing around with it since he announced and and find it by far, the easiest to use out there. The first drill I created, Russian Suicides, is one of my all time favorites. The drills all stay hosted on the site so you can access them from anywhere and you can share them on the site. Over time, you will see all the drills on this site redone with this software and updated when I have time. You can try it out here or sign up for the premium version here.